The most spectacular feature is TaylorMade's "SuperFast" technology, which reduces the overall weight of the club by around 20 grams, ensuring a faster club face upon impact. It also has a sleek, bullet-shaped head that is designed to promote deeper, straighter drives by reinforcing the already enormous sweet spot. As is the case with many drivers, some of the more trivial features are skimped on, which isn't necessarily a bad thing. The stock grip has received some complaints, but realistically most golfers who invest in such an elite piece of equipment tend to swap out grips, if not entire shafts, to get a perfect custom fit. Because of this, as with any professional quality driver, I would recommend spending the extra money and order this club custom-built rather than just picking one up from your neighborhood sporting goods store. Having a shaft that is too stiff or soft, or even having an uncomfortable grip, can quickly make an excellent club seem sub-par simply because every golfer has certain specifications that work for them in terms of equipment. 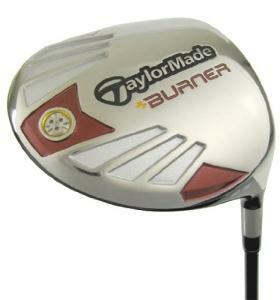 Overall, TaylorMade has built upon their reputation of quality products with their new Burner Driver. If you're a decent golfer looking to add twenty yards to your tee shots, head down to the nearest pro shop and give it a try. While the light weight and sleek design may not appeal to every golfer, I'm more than certain that a majority will walk away ready to hit the links with it.